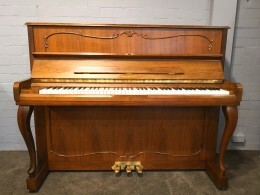 We appreciate that the investment needed to purchase a brand new high level acoustic or digital piano can be a daunting prospect for some, and that a good quality, well maintained pre-owned Grand, Upright or Digital piano can be the perfect alternative. 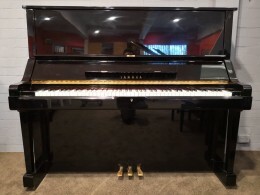 At DW Music with our wealth of experience, knowledge and love for the piano, you can trust that we are unwilling to sell any instrument, new or pre-owned, that do not meet our high standards. Every pre-owned acoustic piano that we stock is taken through a rigorous routine of checks and tunings with our on-staff fully qualified piano technician of over 30 years experience. During this process we identify any mechanical issues that the piano may have and do all that we can to augment the tone, touch and all round experience of the instrument. 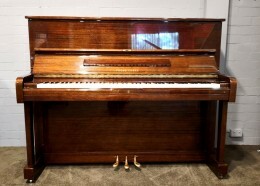 Our confidence in this process is supported by our warranty included with any piano sale. We will also deliver your piano and give it another complimentary tuning after it is in place in your home.